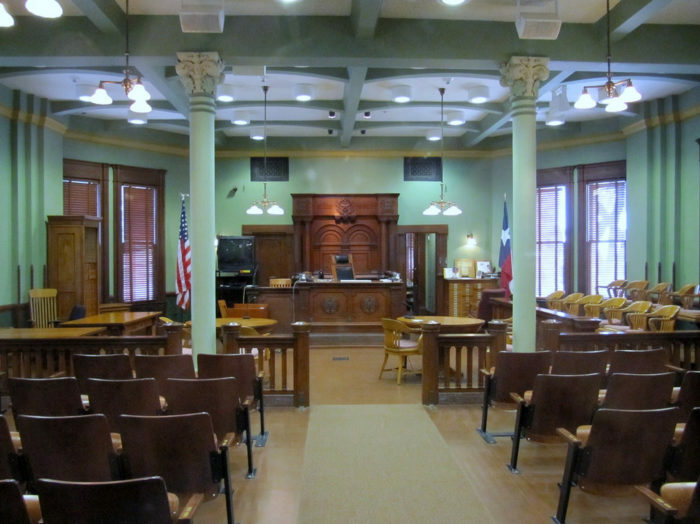 Waxahachie was founded in 1850 and is the county seat of Ellis County. 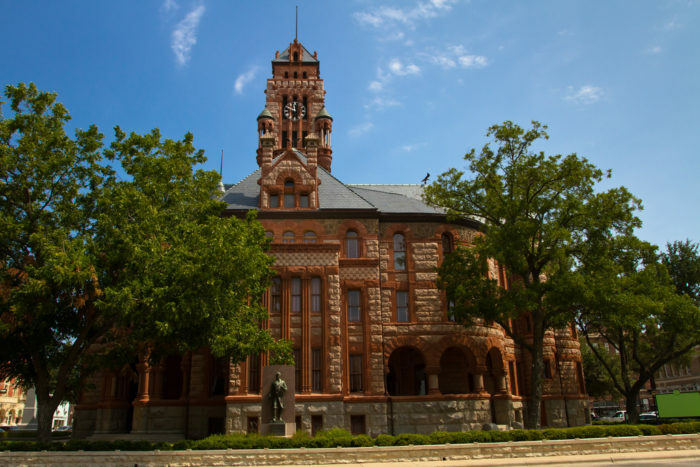 The elaborate Richardsonian Romanesque Ellis County Courthouse is considered to be one of the most beautiful in Texas. 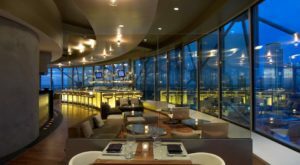 The stunning interior includes an active working courthouse and offices for employees. 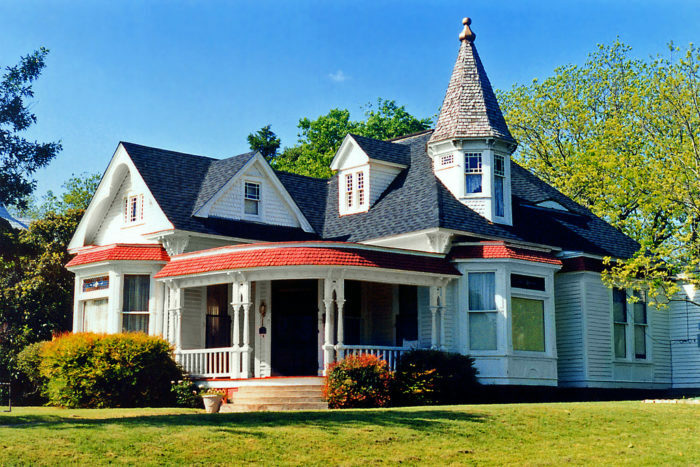 Waxahachie is often called "Gingerbread City" for its numerous Victorian-style "gingerbread" homes, like this cute Queen Anne version. Many homes have been converted into quaint bed and breakfast inns. Many of the older buildings exude charm and personality. 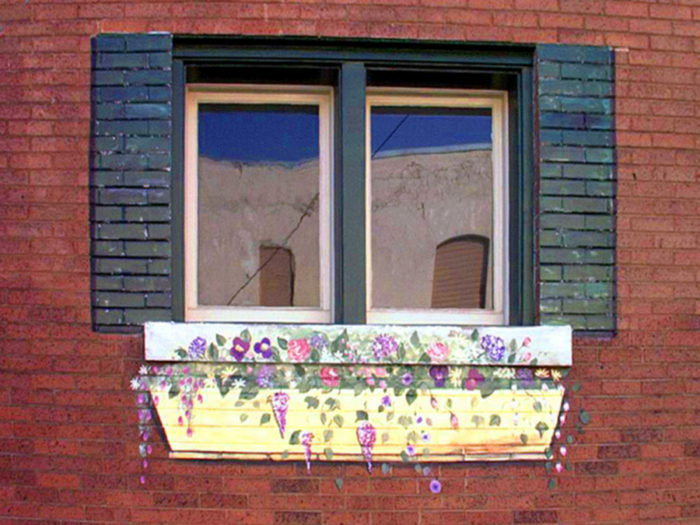 This faux-window box painting is just one of the looks you will see throughout the town. 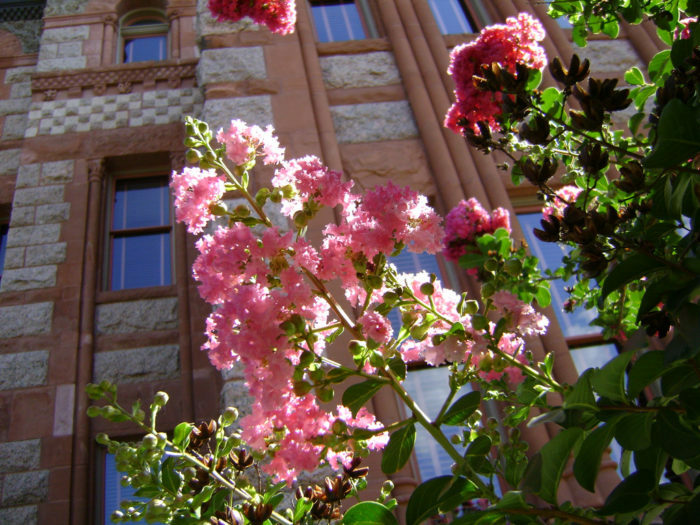 Waxahachie is also known as the "crape myrtle capital" of Texas. There are spectacular displays of this blooming perennial plant during warm-weather months. 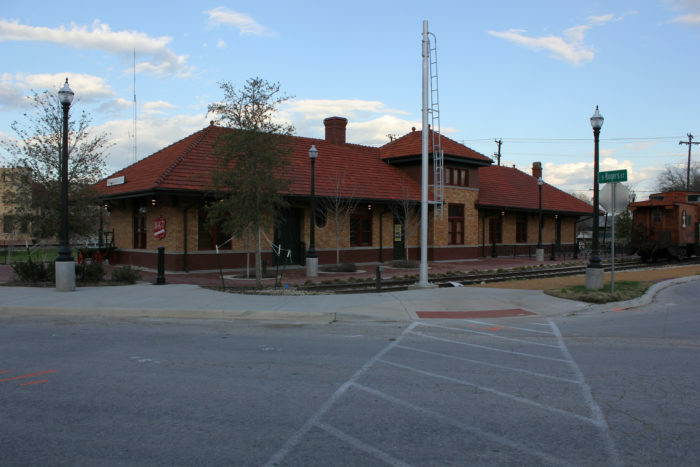 Waxahachie was a former railroad town. While it is no longer a passenger stop, it still has active rail lines for freight. Shown above is the refurbished M-K-T Depot. 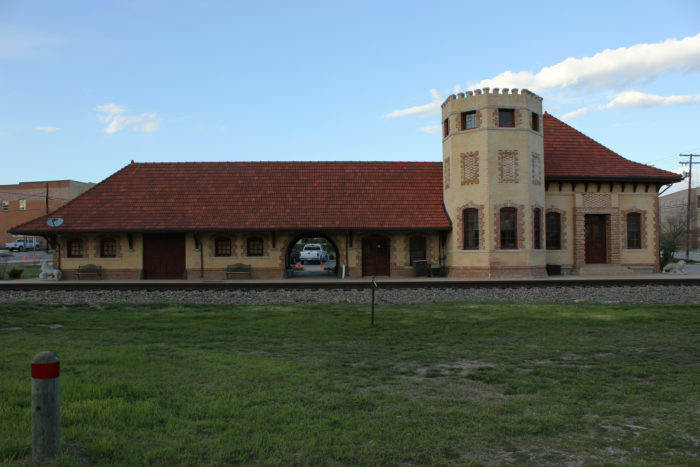 The Rock Island Depot here is also a historic beauty. 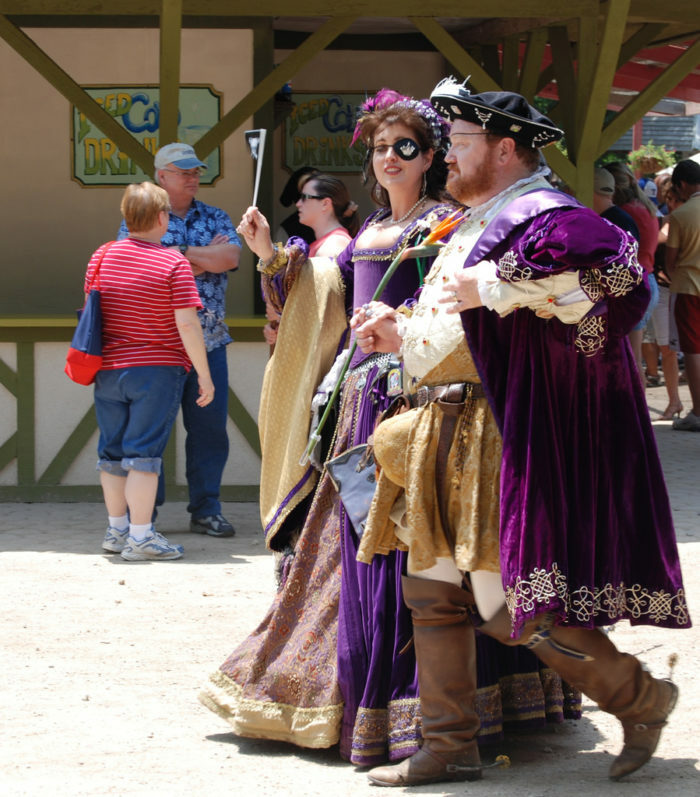 Waxahachie is home to the renowned Scarborough Renaissance Festival, now in its 38th year. 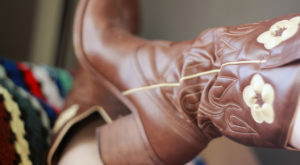 The 2018 fair opens April 7 and runs for eight consecutive weekends. 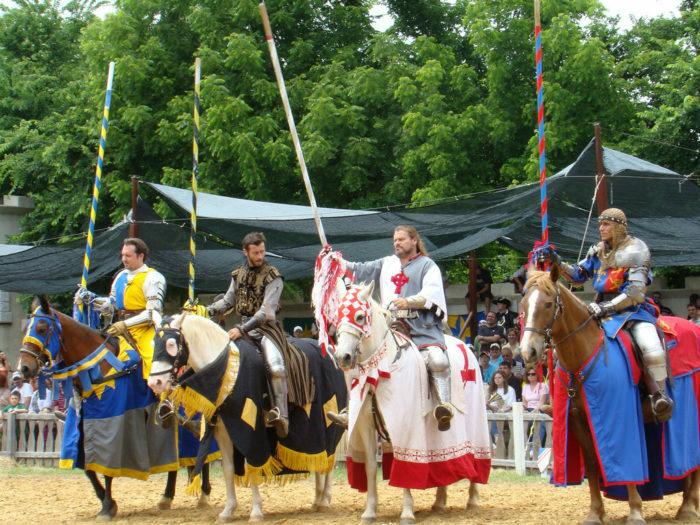 Don't miss the ever-popular jousting events! 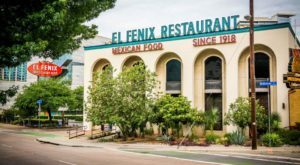 Main Street offers plenty of unique shopping and dining options, as well as a great place to stroll. The town is full of quaint stores and galleries, featuring novelty and artisan items that can't be found anywhere else. 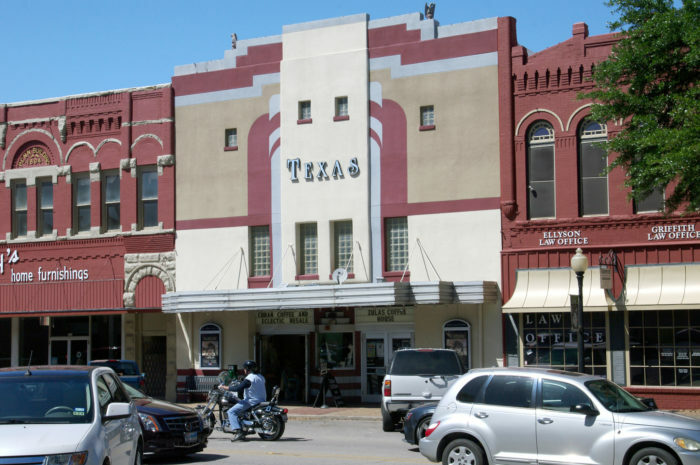 The Texas Theater across from the courthouse frequently hosts community events in Waxahachie. 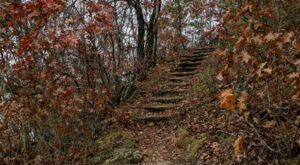 There are also numerous historic areas to explore around the town. 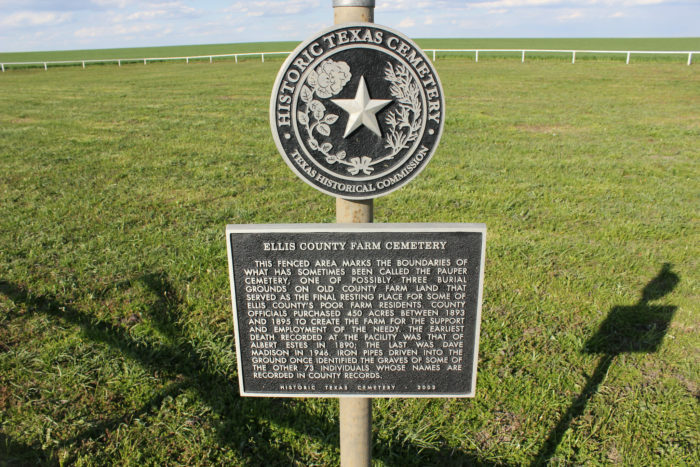 This fenced area marks the boundaries of the "Pauper Cemetery" that once served as the final resting place for some of Ellis County's poorer farm residents. 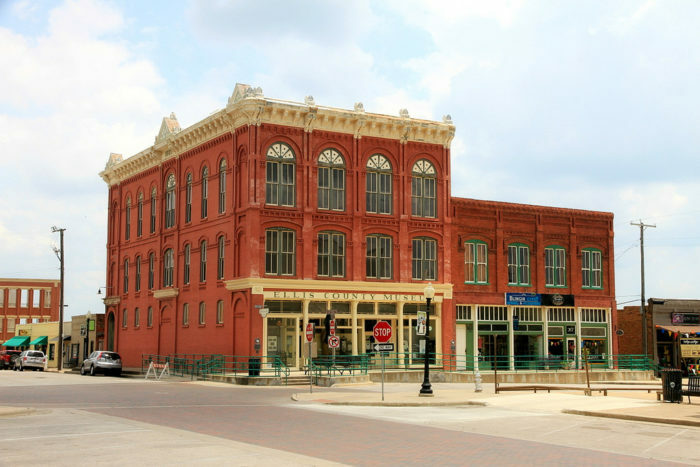 The Ellis County Museum is located on the southeast corner of the Courthouse Square. 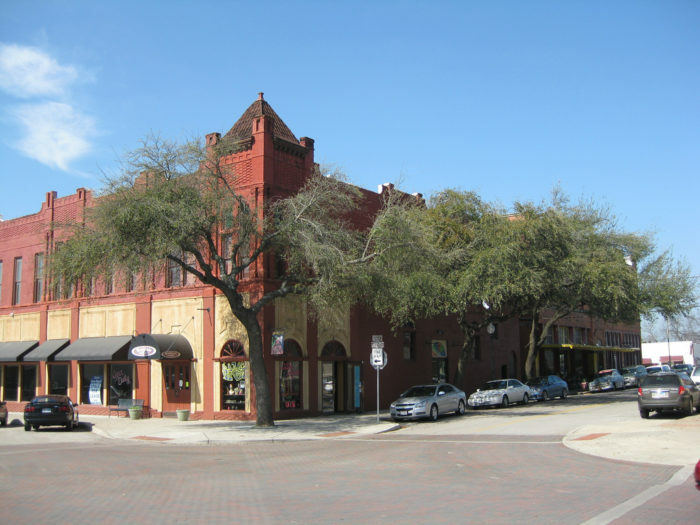 This historic structure was built in 1889 and was originally the home of a Masonic Temple. 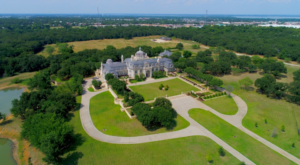 Waxahachie is also surrounded by beautiful farmlands, making it a wonderful destination for a drive through the countryside. 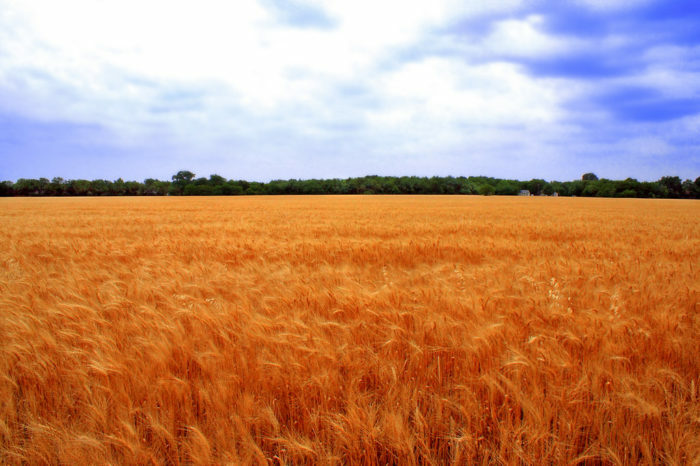 This wheat field is only one of the crops still grown by locals. 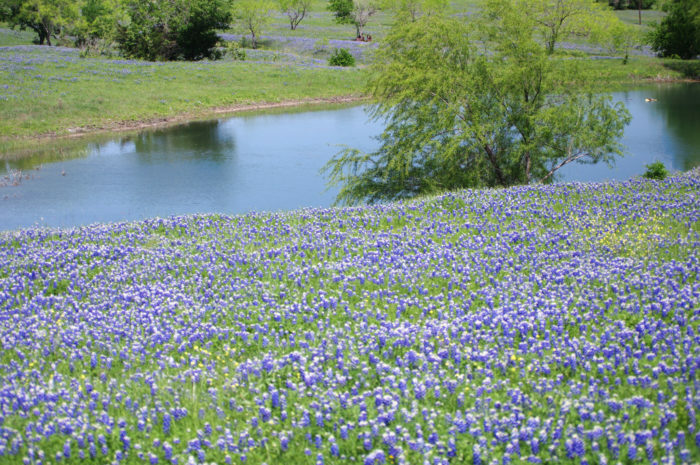 Bluebonnets brighten up the fields and roadways here every spring. The well-known Catfish Plantation Restaurant not only serves delicious food, but is said to be haunted as well! The Catfish Plantation is world famous for the spirits who reportedly have made their presence known numerous times. Skeptical? I have eaten here twice and will admit that I did feel an extremely cold spot by my leg during the first visit (which is said to be a sign of a spirit). However, the thing that creeped me out most was a portrait of a woman who once lived here and is said to be one of the ghosts residents. I had to move to a seat where I couldn't see it - that's how creepy it was! 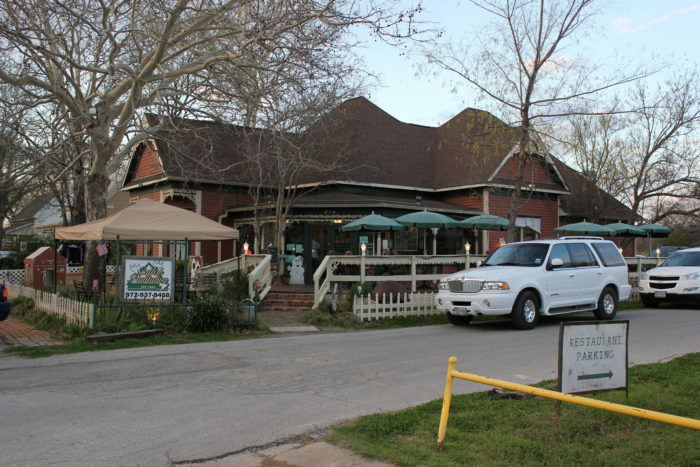 While there are plenty of restaurant options in Waxahachie, Catfish Plantation a must-visit place. 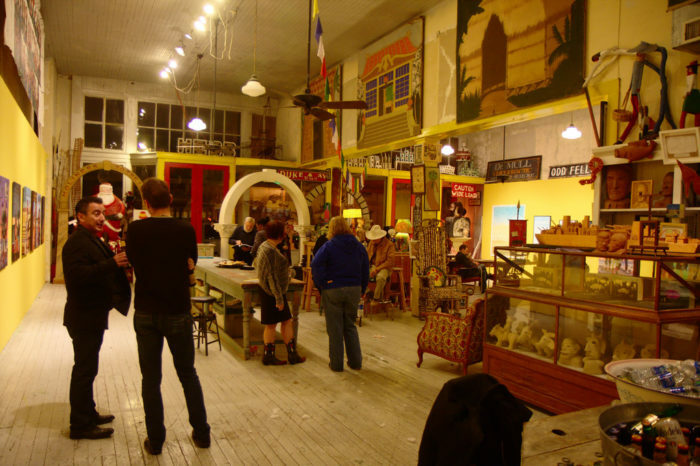 It has been on Travel Channel as well as many ghost shows. 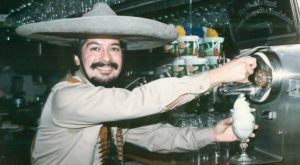 They even let people have "ghost parties" on some nights after hours! 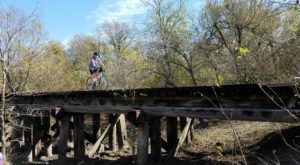 Have you visited Waxahachie? What did you like best about this quaint town? Are there others you love that are worthy of a road trip? And, most importantly, did you have a run-in with the ghostly guests at the Catfish Plantation Restaurant? We’d love to hear your thoughts in the comments below!